Despite the recent flop of Mass Effect: Andromeda, BioWare has stated they’re ‘definitely not done’ with Mass Effect as a franchise. However, with Anthem flopping too - as well as literally setting consoles on fire - it may not be their choice to make. EA can be famously cutthroat, and with two relative failures in a row (Andromeda and now Anthem), the future isn’t clear for BioWare as a studio. Dragon Age 4 is coming up next, but if that succeeds then Mass Effect may well be granted a stay of execution, or even a new lease of life. Thankfully, a new Kotaku report has stated the Mass Effect IP is being "warmed up" for future sequels, following it being "put on ice" back in 2017. If Mass Effect 4 or 5 is to happen, there are a few things BioWare needs to rectify. The original trilogy, Mass Effect 2 especially, is one of the finest gems of the Xbox 360/PS3 generation. Andromeda wouldn’t even be a footnote, were it not for name brand recognition. 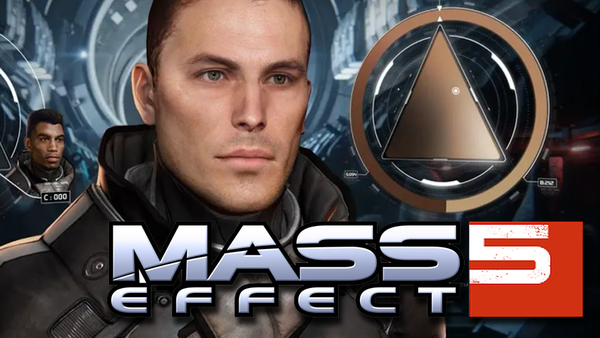 Either by going back to their roots, incorporating what worked from Andromeda or introducing new features fans crave, there are many ways for BioWare to save Mass Effect. If they get everything right, they could come up with another genre defining masterstroke.